Find these here and here. 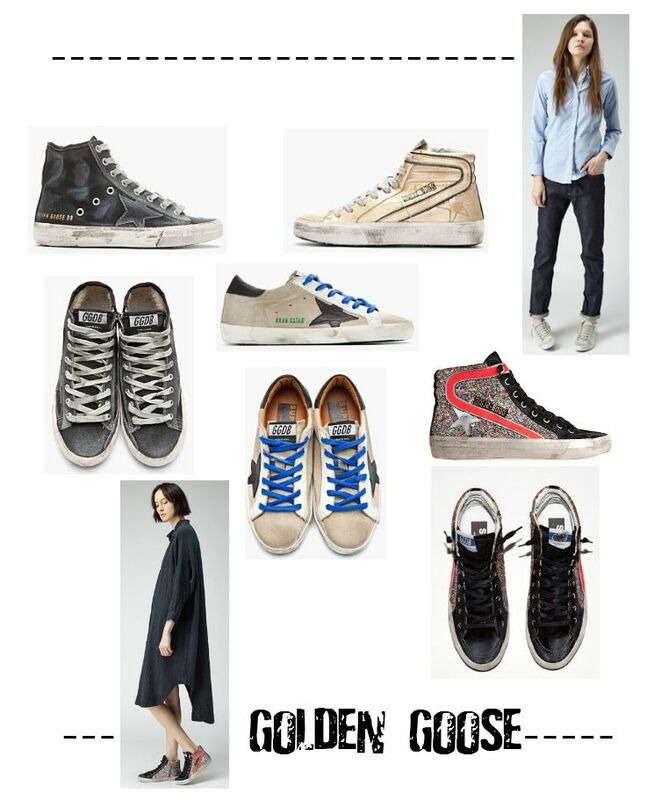 I love Golden Goose sneakers. They're so incredibly cool. You should def get a pair! I've been considering it for awhile now. I really love the look and feel of them. They remind me of an old pair of Italian sneakers that I wore to death. The leather is sooo good! I adore Golden Goose sneakers. I've been lusting after but unfortunately my budget barely touches the laces on them. But if my budget allowed - I'd take all of them! !